In case we need to change some settings of BEx query we either do it in BEx Query Designer or in tcode RSRT. Sometimes we need to setup same settings for several queries. In such a case it would be a lengthy process to perform the same activity all over for multiple queries. 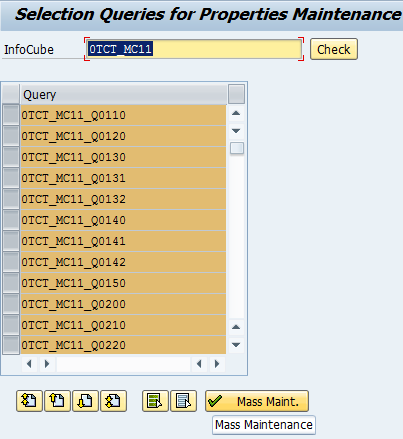 Luckily there is a possibility to perform a mass maintenance of BEx Queries. 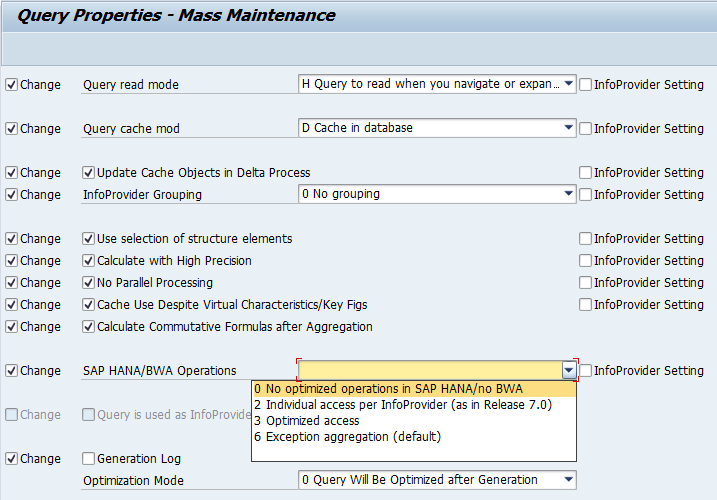 This function is available within tcode RSRT -> menu: Environment -> Query Mass Maintenance. Once you enter the tool you get a selection screen where you can enter any InfoProvider. Based on the InfoProvider entered all queries associated with the InfoProvider are shown in a list below. 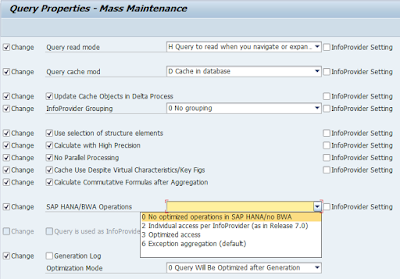 Here you can select particular queries for which you want to do the maintenance. Once confirmed you enter next screen dedicated to the maintenance itself. Over here it is possible to select particular property/ies to be maintained and its/their values. Once saved all queries are maintained.